Extended Edition: Back to School! It's finally time for the part most teenagers have been dreading since they stepped out of school in late May - coming back. It's what every single one of us complained about all summer, and tried (unsuccessfully) to put out of our mind. But, hey, you gotta get an education sometime, right? So it's time to hang up your sandy swimsuit & worn down flip-flops, and trade them for a cute backpack & plaid sneakers. First item on our back-to-school-must-haves list is a simple, yet adorable pair of skinnies. This time around sparkly & glittery colored skinny jeans are definitely 'in'. Also, skinny jean capris are awesome for going back to school too. The brighter and bolder, the better! This school year you'll want to make a statement, saying, "Yeah, I had a fun summer, but let's make school even better!" Another cool jean trend for back-to-school is ripped, rugged jeans. The ragged, rough look is still taking everyone by storm, and I'm pretty sure it has no planned departure anytime soon. Skinny jeans shown range from $16.90 (left) to $27.80 at www.forever21.com or your local store. 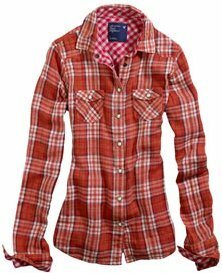 Another awesome key part of your back-to-school wardrobe is the newest fad: plaid button up shirts. No matter whether they're paired up with the skinny jeans (mentioned up top) or with a pair of liquid leggings (outfit pictured later). 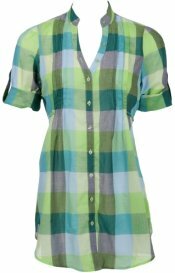 Plaid button-ups are carefree, light, and breezy, and will keep you looking a little bit artsy and mysterious, but also cute and flirty at the same time. I even included a whole plaid button-up and leggings outfit put together by wetseal.com that I think is just perfect for the first day back to school - shoes included! 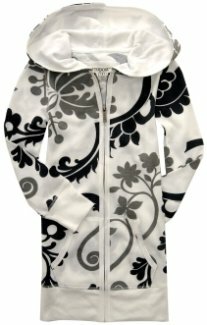 It includes the new, hot trend called liquid leggings, or faux leather leggings. They can be worn as bottoms with a just a t-shirt, Rihanna style, or with a dress, Lindsay Lohan style. Button up top (left) available for $19.99 at www.charlotterusse.com or your local store. Button up top available for $39.50 at www.ae.com or your local store. Button up and leggings set available for $66.99 total at www.wetseal.com or your local store. Hoodie (left) available for $16.99 at www.aeropostale.com or your local store. 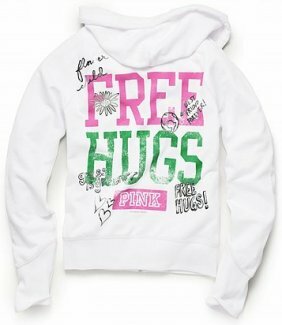 Hoodie available for $39.50 at www.victoriassecret.com or your local store. Who can't resist a classic playin' around strapless romper? Or an adorable little casual tank-dress? How about an awesome denim vest to go over the top of one of them? Well, let me tell you, personally I cannot resist any of them! 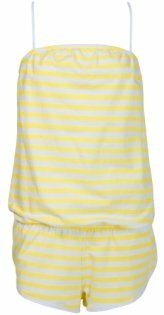 I love to pair up my favorite little fun romper with my flirtiest striped mini-vest and a pair of sling back sandals. And what better place to strut your stuff than down the hallway of your own school!?! All of these can be combined with the essential V-neck or scoop-neck and an awesome rainbow belt! 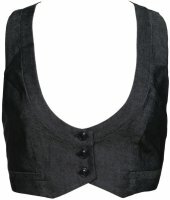 Denim vest available for $20.99 at www.charlotterusse.com or your local store. V-Neck available for $6.50 (or 5 for $20!) 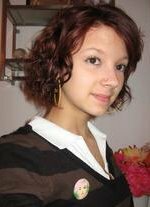 at www.wetseal.com or your local store. 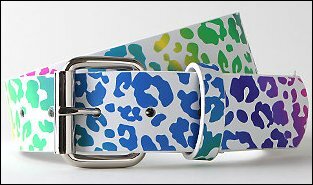 Belt available for $16.50 (or 2 for $20!) at www.pacsun.com or your local store. Dress (left) available for $19.97 at www.rainbowshops.com or your local store. Dress available for $22.80 at www.forever21.com or your local store. Romper (left) available for $16.99 at www.charlotterusse.com or your local store. Romper available for $39.50 at www.victoriassecret.com or your local store. 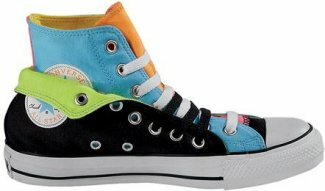 The coolest final item on the long back-to-school must-have list is Converse. Bright Chucks, patterned Chucks, low-tops, high-tops, and every Chuck Taylor in between. The great thing about them is that you can wear them with practically anything, including any item on this list. Match 'em up with some skinnies and a vest over your v-neck, or dare to wear them with your denim romper and Pink hoodie. Converses can be as easily dressed up as they can down! Even if you just want a random pop of color on your first day back, throw on your neon high-tops! Have the guts to be different, and wear lime green argyle knee-highs and chucks with a cute little 'cocktail dress!' Style them with anything. Let them become your essential school 'must-have' ... or any of these items, as a matter of fact! Work anything on here and you'll be golden for the whole school year ... or at least until the winter trends! 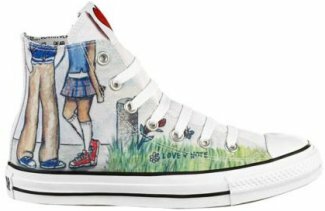 Chucks available for $49.99 at www.journeys.com or your local store. 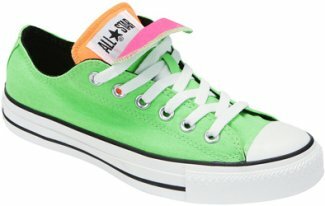 Chucks available for $54.99 at www.journeys.com or your local store. Subject: Extended Edition: Back to School!